Angler Cottage01263 715779work01603 870304fax Self-cateringSet in the centre of the Norfolk Broads, Angler Cottage and the surrounding area benefits from being in a peaceful atmosphere. Well furnished and with its own boat mooring this property is ideal for those wishing to experience the natural beauty of Norfolk in comfort. 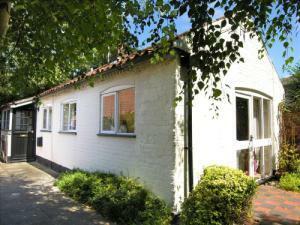 Comfortably furnished, all on one level and is situated on a quiet lane. Fully enclosed rear patio garden. Set in the centre of the Norfolk Broads, Angler Cottage and the surrounding area benefits from being in a peaceful atmosphere. Well furnished and with its own boat mooring this property is ideal for those wishing to experience the natural beauty of Norfolk in comfort.